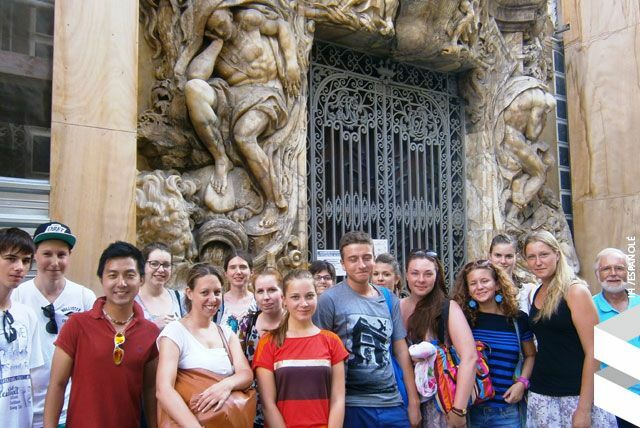 Can you imagine learning Spanish in a friendly atmosphere in the heart of a beautiful city like Valencia? 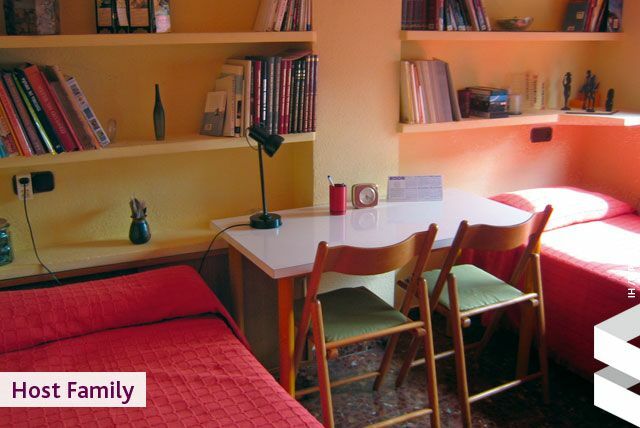 In our Spanish courses you will get immersed in our language and culture and learn how to use Spanish in real life. 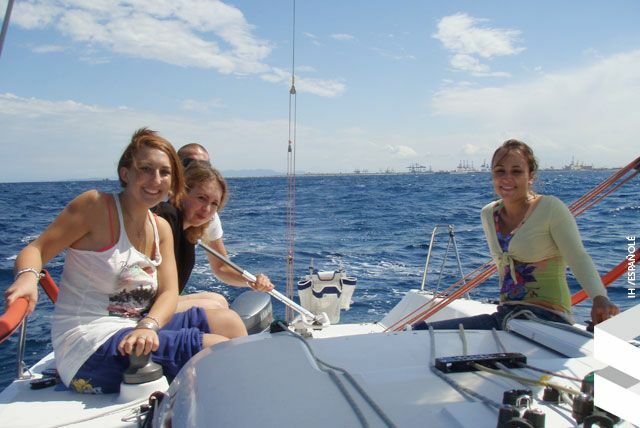 We have all types of courses including business courses, internship, volunteering, sailing and many more! 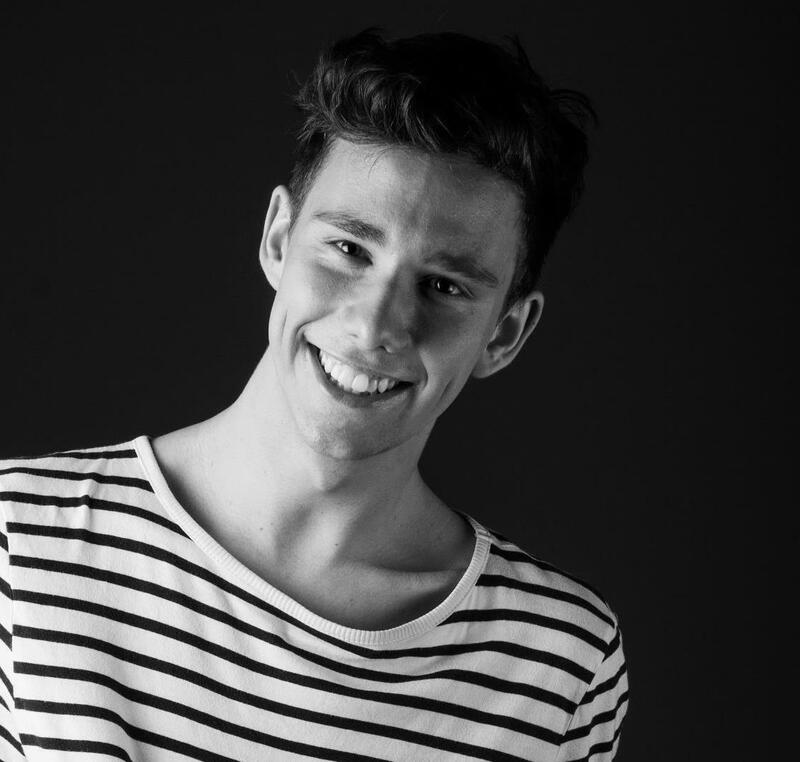 Courses offered for different age ranges: adults, teenagers and juniors, and for all levels! Students develop skills that they can immediately practise outside the classroom. Join us! 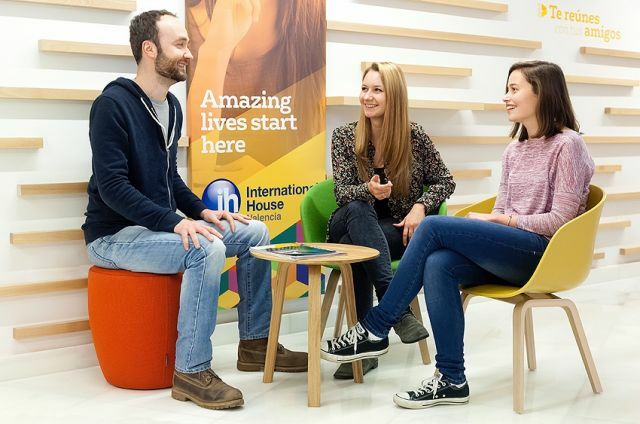 Intensive 20 - This course is designed for students who wish to learn the language and have free time to participate in Spanish culture and life, and make friends. There are 4 classes per day, during the morning or afternoon, lasting from one week. Intensive 25 - If you want to have an extra lesson everyday focusing only on speaking, this is the course for you. There are 5 lessons per day. Intensive 30 - This course is a combination of the Intensive 20 plus Spanish Life and Culture and Grammar Skills lessons. There are 6 lessons per day. Intensive Plus - This Spanish course is a combination of Intensive 20 and individual classes. There are 5 classes per day, 4 in a group and 1 individual. The individual classes can be adapted to the needs of each student, so that they can use them to study areas in which they are most interested. Super-intensive - This course is designed for students who wish to develop their communication and linguistic skills in a very intensive course. It is a combination of the Intensive 25 course and private lessons. There are 6 lessons per day, 5 in a group and 1 private. The private lessons are intended to deal with the specific needs of each student. One to one - Private lessons are available for any level, and the course programme is specially adapted to each student’s needs. 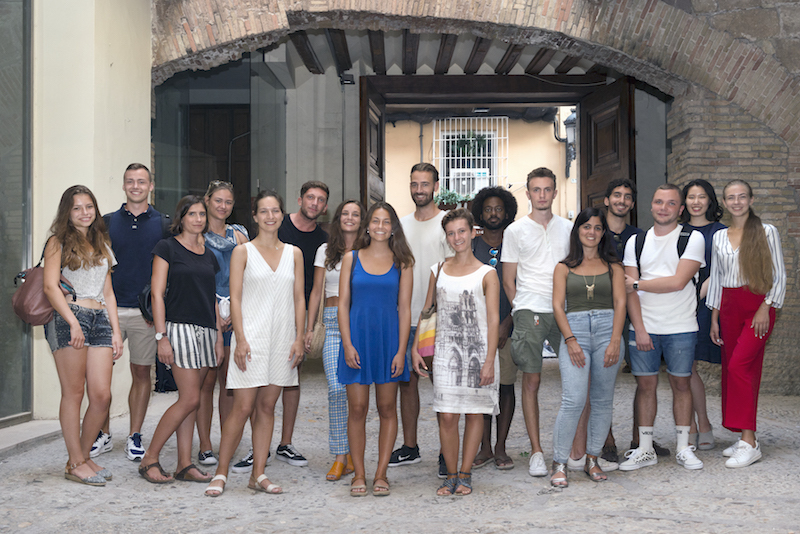 Long-term - This programme is designed for students who wish to study for at least 12 weeks, and who also wish to experience Spanish lifestyle and culture. There are 4 lessons a day, in the morning or in the afternoon. Spanish for Business - This course is designed for students and professionals who are interested in the world of business in Spanish-speaking countries. Students study specific language and linguistic structures used in business. Spanish and volunteer work - It is a great opportunity to help people from other cultures, learn about Spain and have fun at the same time. There are many types of projects available: educational and cultural, social, environmental and health care related... you can choose the area that most interests you. You must attend a Spanish course for at least two weeks that you can combine with your voluntary work. The minimum period for the voluntary work is 4 weeks. Internship programme - programme is only open to full-time students from the EU. This programme combines an intensive Spanish course with an internship of at least 12 weeks working in a company. The internship is considered to be a training program, unpaid. Before starting work experience, you will have to attend a Spanish course of at least 2 weeks. You can choose from any of the intensive courses, but at least B1 level is required. Students interested in this programme should apply a minimum of three months in advance of their preferred starting date. Spanish and Demi pair - you will be welcomed into the homes of our Spanish hosts as a member of the family. In return, you assist with child care, help with light housework and teach the children of the house your native language. Demi pairs have to be between 17 and 30 years all. The minimum length is 3 months (in summer it might be possible to arrange a shorter period) to 1 year. We only accept Demi pairs who are nationals of the EU, Switzerland, the USA, Canada, Australia and New Zealand. DELE preparation course - this course is specially designed to prepare students for the internationally-recognised DELE exams organised by the Cervantes Institute. Structure is 20 general Spanish lessons + 10 exam preparation lessons. 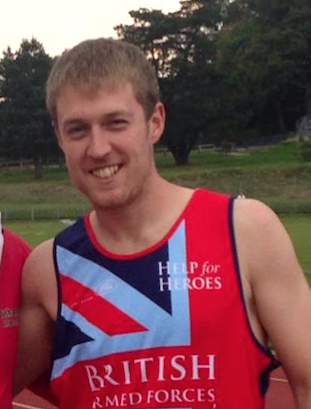 Length of the course is 4 weeks. SIELE - The SIELE exam is a new Spanish certificate which certifies electronically the degree of proficiency for the Spanish language with four tests: Reading and listening comprehension, Written expression and interaction and Spoken expression and interaction; the exam also takes as a reference the levels established by the CEFR. Chamber of commerce - this course is designed to prepare students for the Madrid Chamber of Commerce Exam, which evaluates the student’s knowledge of business Spanish and is organised in collaboration with the University of Alcala. Structure is 20 general Spanish +5 lessons to prepare students for the exam. Length of the course is from 1 to 6 weeks. Preparation for university/PAU - This course is designed for foreign students who wish to complete a university degree in Spain. To achieve this, they must first pass an entry exam. The preparation courses to access university are tailored to each individual student; it is a fast and easy way to improve and prepare for the exam and it doesn’t matter what your level or capabilities are. 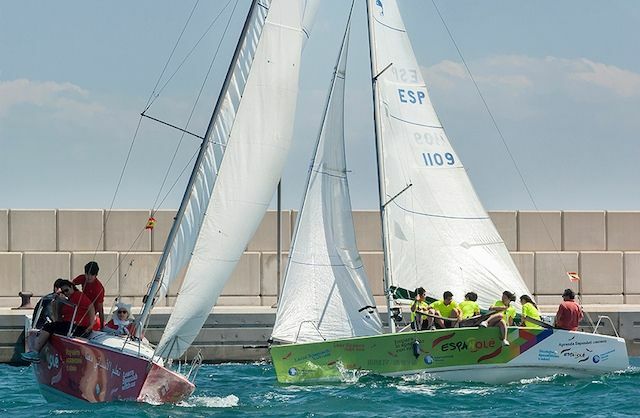 Spanish and sailing - Our Spanish and Sailing course is aimed at all levels, from the absolute beginner to the experienced sailor. Only summer. Teacher training - This course is focused for non-native teachers of Spanish. It combines elements of the language and Spanish culture together with methodology and practice. Participants will have access to practical and effective training in order to teach Spanish to foreign students. In addition, they will have the chance to meet colleagues from other countries so cultural exchanges and networking make up an important part of the study programme. We also provide intensive, four-week teacher training courses and online programs accredited by the University of Barcelona. Family Programmes - Our family language programmes are specifically designed to fit the lifestyle and requirements of each individual family. They are flexible and fun, and can be tailor-made to create the perfect holiday experience. 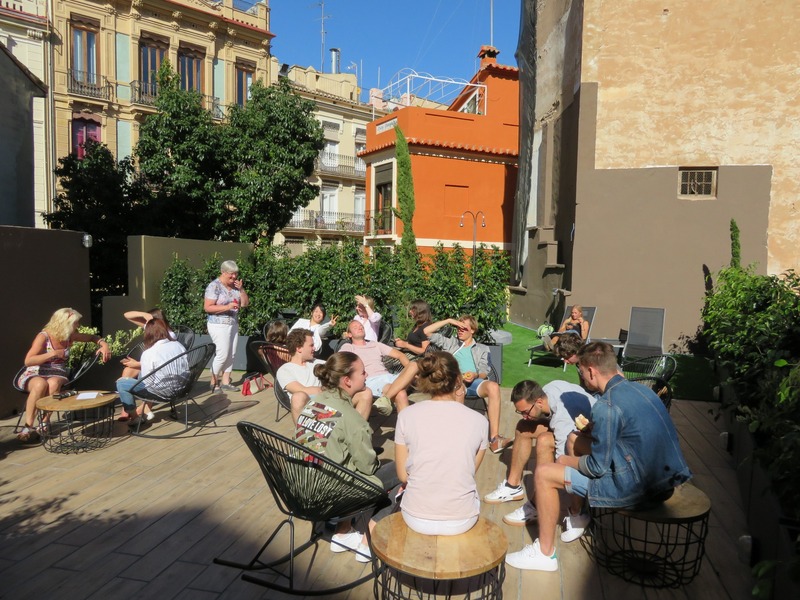 Group Programmes - We offer Spanish courses for school groups throughout the academic year and during the school holidays that are custom-made to respond to their individual needs and requirements. We are a friendly school that offers Spanish courses of the highest quality. Our goal is to teach you to communicate in Spanish as quickly as possible and at the same time to introduce you to Spanish culture and life. Welcome to our brand new school! Our new 2100m2 school has 28 classrooms with interactive whiteboards, plenty of natural light, air-conditioning and every other amenity to make it perfectly equipped for Spanish language lessons. 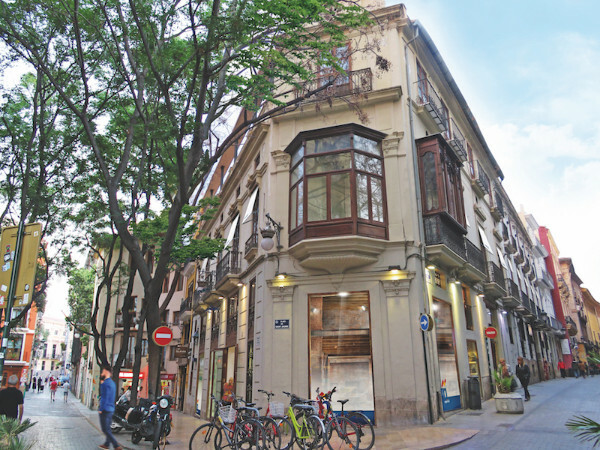 Deep in the heart of the city - the school is situated on one of the main streets that runs through the district of el Carmen, calle Caballeros, which is a hotbed of activity during the day and transforms at sunset into one of the main streets for nightlife in Valencia. 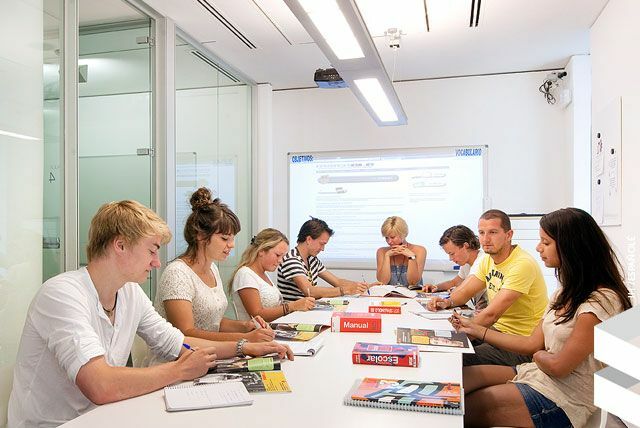 The courses are divided up into 6 different levels: from beginner to advanced levels, based on the Cervantes Institute programme, under the directives of the Common European Framework of Reference for Languages. We have a dynamic team of teachers who love teaching Spanish. All of them are native Spanish speakers and university graduates. They have many years of experience and are specialized in teaching foreign students. They use modern materials and methods and ensure that the lessons are interesting and entertaining. The world of teaching is constantly evolving and our teachers are keen to stay up-to-date, incorporating new techniques and materials into their lessons whenever appropriate. In addition to teaching Spanish in class, our friendly teachers will accompany you on the extra-curricular activities that we organize, and offer general support during your stay at the school so that you find learning Spanish a pleasant experience. At the end of the course, students are given an attendance certificate indicating the course taken, the number of hours of study and the level reached, in addition to a detailed report on their progress in each language area. Our courses are recognised by American universities for obtaining academic credit. Students can get ECTS credits from our Spanish courses; these credits can be transferable to their home university. 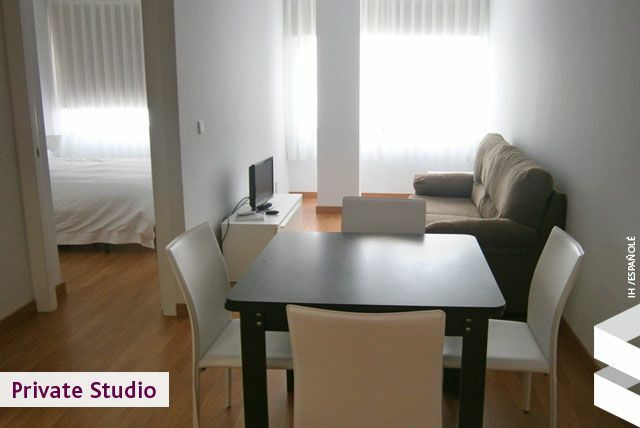 You can choose between living with a welcoming and friendly Spanish family, in a shared, private apartment or in a well appointed residence. 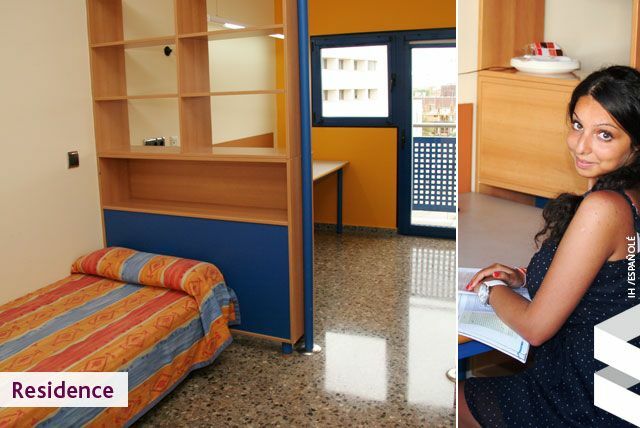 We select our host families with the utmost care, ensure that our shared apartments and studios are maintained in good condition and provide general support for students with matters regarding their accommodation. If you haven’t got a plan after class, the school will help you! Just look at the activity plan for the week and experience a lot of cool stuff! The program of activities and excursions will help you to discover Spanish culture, the friendly attitude of the Spanish and the festive atmosphere of our city. 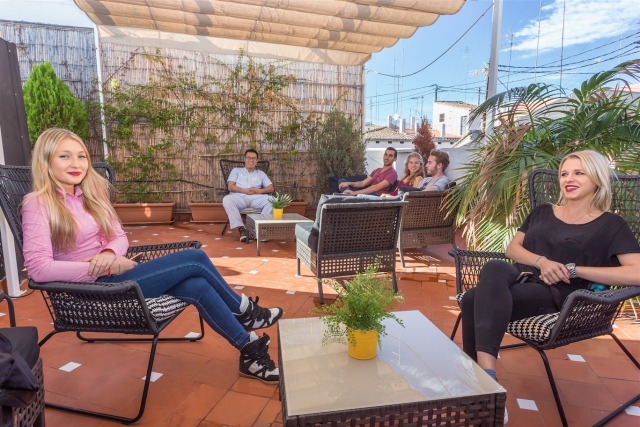 It is the ideal complement to a Spanish course and gives you the chance to practise Spanish in everyday situations, find out what Spain and its culture are like and get to know its people. We organize many activities every month, most of them are free and many others are available at a very low price. I met a lot of great people. I will miss the school! The program gives many great opportunities. The school provides many great activities after classes, it helps to meet people, but most importantly to improve Spanish communication. Teachers are super nice, open-minded and really willing to help with any problems. They are very patient in explaining all grammar rules etc. All classes are in Spanish, which may be hard at the beginning, but with time it&apos;s easier and helps to study. I feel like I made a big progress with my Spanish, but the most important thing, I feel more comfortable in speaking Spanish, which was the main reason to study Spanish. 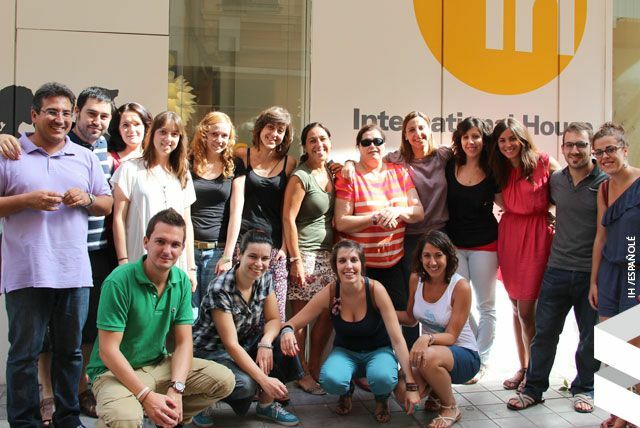 This school is the place where people from all over the world meet and pursue a goal: to learn Spanish. I spent eight weeks in this school and it was probably the best schooltime of my life. Almost every week there comes somebody new into your class and you get in contact with sooo many different people! Also the teachers aren&apos;t "usually" teachers, they are a bit like we, they like making jokes and having fun. And if you haven&apos;t got a plan after the class, the school helps you! Just look at the activity plan of the week and experience a lot of cool stuff. The teaching methods are superb, really "hammering home" the language so you pick it up so quickly. I highly recommend! I have always wanted to learn Spanish, and visit everywhere in the country, getting a lot of the culture. 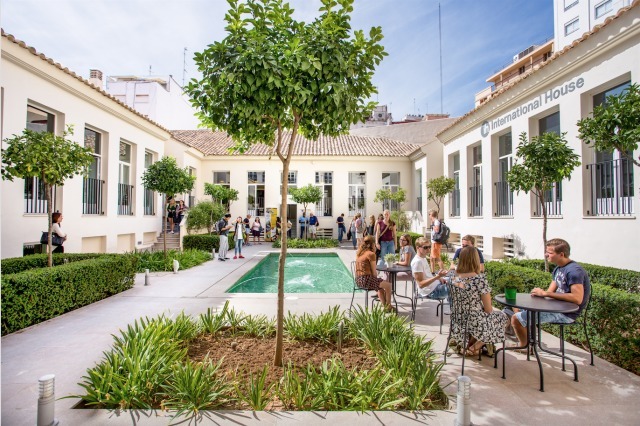 I particularly love the pace of life here, and the school has given a good insight into this by organising flenty of trips to showcase Spanish, culture, and Valencian culture in particular.